I had check with the bank about eBay making direct deposits and any refunds that would be issued. He told me that since you accept their site, that gives eBay the right to also withdrawal monies from your account that you assign to it. Any overdrafts will be the accounts problems. I asked if I can override this. NO. Then he mention, do what I will be doing, stop selling on eBay. They have too much control over the refunding (buyer friendly). Adyen may be fine in processing payments and deposits, BUT it is the refunding at eBay's request when the refund is not founded. ** Are our listings according to their product catalog. ** Whether or not to hide (black out) our listings. ** Whether or not we are offering free returns. 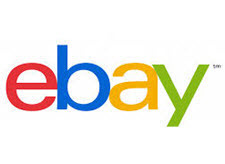 ** Ebay using their in house payment (eventually) and decide when you will get paid and that you are to send out the merchandise just the same. ** Ebay will make the best decision in product claims and then just going into our accounts to issue refunds willy nilly. This is going to ruin millions of sellers who do not have enough cash in the back for eBay to withdraw when there are false claims made against small sellers. So look for eBay's numbers to continue to fall as Devin proceeds to ruin this once great marketplace. Millions of sellers will be put out of business and run into bankruptcy by that moron Devin Wenig, time to fire this idiot now before these things happen and bring in a CEO from the outside that will reverse this lunacy. There is nothing wrong with PayPal right now, sellers get their cash and are able to ship the same day, Devin is looking to destroy eBay by his own greed and will succeed at that for sure, he has been destroying eBay form the day the dummy got the job. They day eBay asks for my bank account is the day I will be gone along with a lot of other sellers. One of the reasons I left Amazon years ago because of Amazon payments. I have been with PayPal since before eBay bought it and I have never had a problem. Been on eBay for over 19 years but those days are slowly coming to an end. So be it! Some are ASSUMING what Ebay will be doing in regards to refunding a buyer. That does NOT make it factual. It is fear and dislike that causes some to feel the way they do about Ebay. Not that I trust them, I'm just saying Ebay has NOT announced how they will handle these situations. Before I start worrying about it, I'll wait and see what they decide their policy will be. We have lots of time. We will know more later this year and long before it affects most sellers. So plenty of time to get the FACTS and then decide what is the best decision for each of us to make about selling or not selling on Ebay. For me, I'm not going to get all worked up now as there is lots of gossip and assumptions, but not enough facts to base a business decision this important on. You are correct, there still is time. I will not do anything until eBay asks for my bank account, that is when I am gone after 19+ years. Hopefully I will make 20.
eBay = Dead Man Walking.